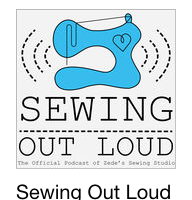 In this episode of Sewing Out Loud Mallory and Zede explore how to sew for the changing body. They touch upon how different health situations such as fluctuations in size, rapid weight gain or weight loss can create a need for a flexible wardrobe. They have lots of advice on the subject as Mallory has just spent the last 9 months or so pregnant and Zede has Crohns disease. 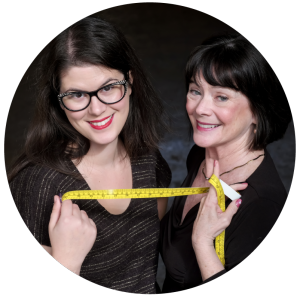 Mallory and Zede both agree that sewing with knit fabric can be a great solution if you find yourself in need of a wardrobe that can change with you. And lets not forget about the ever growing kids. It can be really practical and economical to sew items of clothing that can grow with the child. Zede and Mal share some of their favorite tricks for getting longer wear out of kids clothes. Knit fabric of course is a favorite here too. Leggings can be made a little longer and then worn as long, just right, ankle height and eventually turn into capris. Magic, right?! They also share the popular technique of the long cuff that can be rolled up or down as the child grows. The perfect scissor to bridge the gap between large shears and tiny snips, these large handled scissors let you cut super precisely with ease. 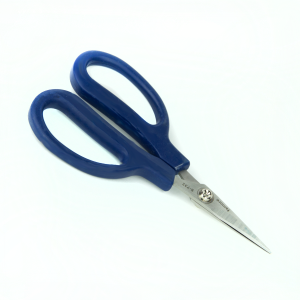 Lightweight and comfortable, we have a pair of these scissors at each of our sewing machines! Do you already own a pair of these exquisite scissors? Feel free to share a pic of them in action or in your sewing room over on our instagram page zedessewingstudio #zedesfavoritescissors! We love seeing them in the “wild”. I love Zede’s favorite scissors. The handle shape was a little awkward for me ar first but I now use them all the time.